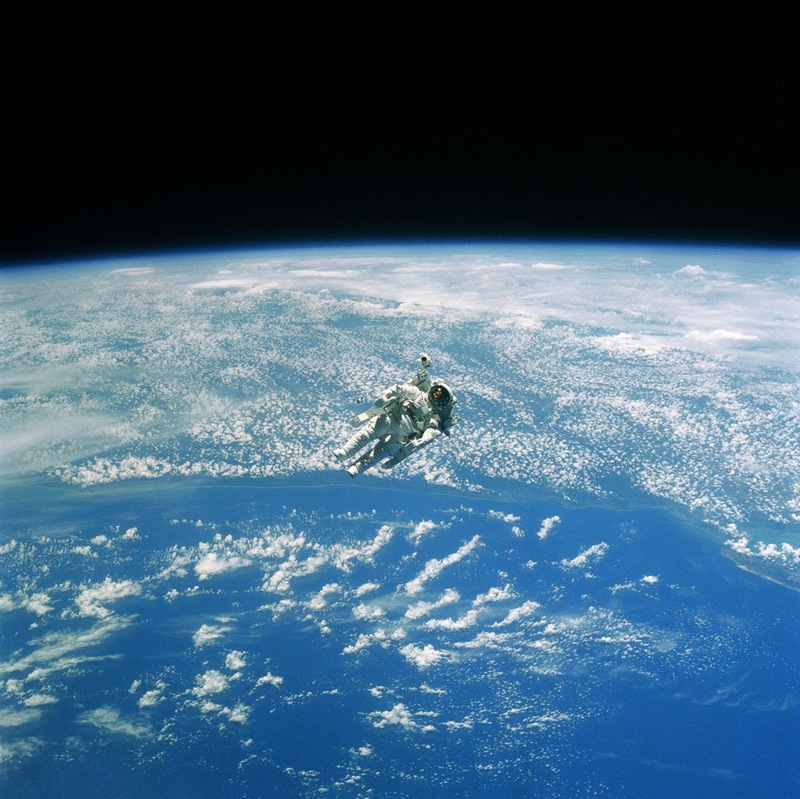 Humans have been venturing into space for over 50 years. Starting in 1961 when the Russian cosmonaut Yuri Gagarin became the first human to travel into space, by 1969 Neil Armstrong, Michael Collins, and Buzz Aldrin became the first humans on the moon, and by 1998 the International Space Station had launched its first module. More recently our exploration of space has started to reach new heights, with 2011 seeing the launch of the Mars One company and its mission to produce the first human colony on Mars by 2033. Despite our half century of space exploration, scientists have only recently started researching the effects of space travel on the brain. The question of what our brains will look like after spending an extended amount of time in space is increasingly pressing with the impending inception of the Mars colony. The first group of Mars colonists are expected to begin training later this year and will undergo 14 years of training before departing Earth in 2031 and finally landing on Mars in 2032. Though establishing a human colony on Mars will be another giant leap for mankind, will the colonists that travel to and live on Mars have the same brains as when they left Earth? Scientists have known for some time that space travel is hard on the body. 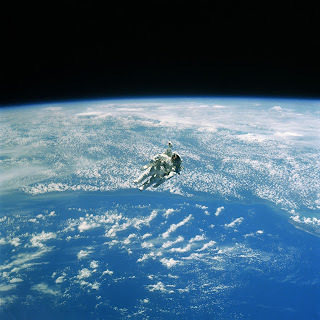 As astronauts become farther away from Earth, the pull coming from Earth’s gravitational field becomes weaker and astronauts experience weightlessness; however, the human body is not designed to live in a weightless state. When in microgravity (the condition colloquially called “zero gravity”), the orientation information provided by Earth’s gravitational pull is lost, causing the way that you perceive your environment to alter. Furthermore, your bones decrease in density at a rate of about 1% per month while in microgravity. By comparison, elderly men and women living on Earth experience bone loss at a rate of 1-1.5% per year. Moreover, without the need for walking and standing in microgravity, the muscles lose strength and endurance. As a result, astronauts must exercise at least two hours a day while in space and must undergo rehabilitation once they return to Earth. Scientists are also learning that space travel is hard on the brain—both psychologically and physically. Though potential astronauts undergo behavioral health exams and are screened for mental illnesses before beginning training, being in space is psychologically challenging. Astronauts are isolated in a small ship for days or months at a time, are stuck with the same small number of co-workers for the duration of their trip, and are separated from all of their friends and family back on Earth. For the Mars colonists, these challenges will be taken to the extreme: they will be traveling to a planet with no human life where they will live out the rest of their lives in the company of their fellow colonists, potentially never to see their family and friends on Earth again. Being in extreme environments, including journeys into space, can also lead to negative effects on mood and performance and increased risk for anxiety and depression (1). Furthermore, the lack of a day/night cycle in space (and the 38 extra minutes present in a day on Mars) may lead astronauts to develop altered circadian rhythms. Such circadian alterations can lead to more substantial problems than just having problems sleeping and waking up: disruptions in the circadian clock have been linked to psychiatric disorders such as depression, schizophrenia, and mania (2). Being separated from life on Earth can also have a huge effect on your psyche. Some astronauts experience “break-off” while in space, a term used to describe the feeling of being disconnected from Earth and potentially from reality itself. Other astronauts feel the opposite, a global consciousness and connectedness deemed the “overview effect.” Overall, the experience of traveling into space can wreak havoc on your mental state, and these psychological effects have been noted in astronauts that have spent about six months in space. The colonists traveling to Mars are intending to establish a permanent colony where they will live for the remainder of their lives. No one has ever spent this much time in space before. In fact, the longest consecutive period of time anyone has spent in space is 438 days (a record held by the Russian cosmonaut Valery Polyakov). As the colonists prepare to spend numerous years living on Mars, we currently cannot know what changes will be wrought on their psyches (though we do have some idea of how specific regions of the brain respond to being in space). Additionally, while the colonists remain on Mars without the intent of returning to their previous lives on Earth, they will not have the opportunity to reset their brains and bodies back to the “normal state” of being on Earth. Whatever mental changes the colonists undergo while en route to and living on Mars will become their new “normal selves” for the rest of their lives. While space travel involves many psychological challenges, equally concerning (but less well known) are the physical challenges that being in space places on the brain. Of main concern is the high level of radiation that colonists will experience on both the journey to Mars and after landing on Mars. Astronauts’ exposure to radiation while in deep space is different than our exposure to radiation while on the Earth’s surface. On Earth, we are protected from 99.9% of deep space radiation by Earth’s magnetic field; however, when astronauts leave the Earth’s magnetic field, they become exposed to much higher levels of radiation. The radiation that an astronaut will be exposed to on a round-trip to Mars is about 0.66 sievert—the equivalent of receiving a whole-body CT scan every 6 days. Once on Mars, astronauts will also experience high levels of radiation: unlike Earth, Mars does not have a global magnetic field that will protect future colonists from radiation. Exposure to radiation can lead to DNA damage. As a person’s exposure to radiation increases, their cumulative amount of DNA damage will increase, thus increasing the person’s risk of developing cancer. Studies have also indicated that there are brain-specific consequences associated with radiation exposure. One group found that whole-body radiation led to decreased cell division in the hippocampus (3)—a brain region crucial for memory and one of the few areas in the brain that undergoes neurogenesis into adulthood. There is also evidence that radiation results in altered neurotransmission in the hippocampus (4), altered neuronal architecture in the prefrontal cortex, and deficits in cognitive performance, executive function, and memory (5). In addition to studying the specific effects of radiation on the brain, several studies have compared the brains of astronauts before and after they travel into space. A recent study found that there are significant alterations in gray matter volume after being in space and that these changes are more pronounced in astronauts who have spent longer periods of time in space. Another study performed by the National Aeronautics and Space Administration (NASA) compared the brains of Scott Kelly (who spent nearly one year in space aboard the International Space Station) and his twin brother and retired astronaut, Mark Kelly. The study is still ongoing, but thus far researchers have found altered inflammation and telomere length in samples taken from Scott Kelly after he returned from the Space Station. Essentially, current research indicates that our brains are not built to live in space. So, as humankind moves toward living in space full-time, we are going to do so with brains that operate differently than those of people living on Earth. But, if the brain is the seat of the identity, how will being in space fundamentally change who we are? Will the people who live on Mars act, think, and feel differently than people who live on Earth? And, given the neurological changes that take place while in space, is the trip to Mars even worth it? The Mars One company identifies three main reasons to go to Mars: 1) it is a fantastic adventure, science fiction come to life; 2) it presents the opportunity to learn more about Mars; and 3) the trip will help the progress of humankind. Other sources state that we must go to Mars to ensure the survival of our species and to improve the quality of life on Earth with the new technologies that will be used to bring humans to Mars. But, there are many reasons not to go to Mars, including the fact that the colonists cannot return to Earth and must remain with their fellow colonists on Mars for the rest of their lives, and the numerous neurological alterations that will accompany traveling to and living on Mars. Others say that we should not go to Mars because it will be expensive and we already have robots on Mars. Ultimately, whether it is worth going to Mars is still largely a matter of personal conviction: given the risk of altering your brain and never living on Earth again, would you risk going to Mars and helping humankind advance into space? 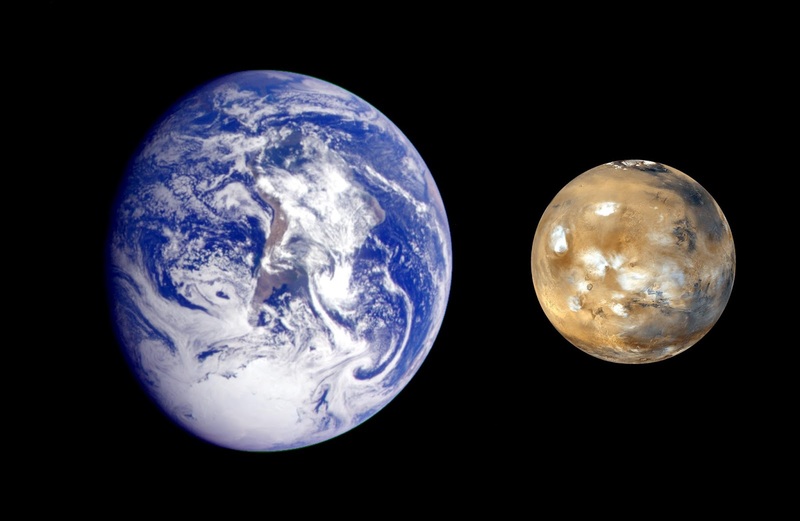 Earth and Mars, image courtesy of Wikipedia. 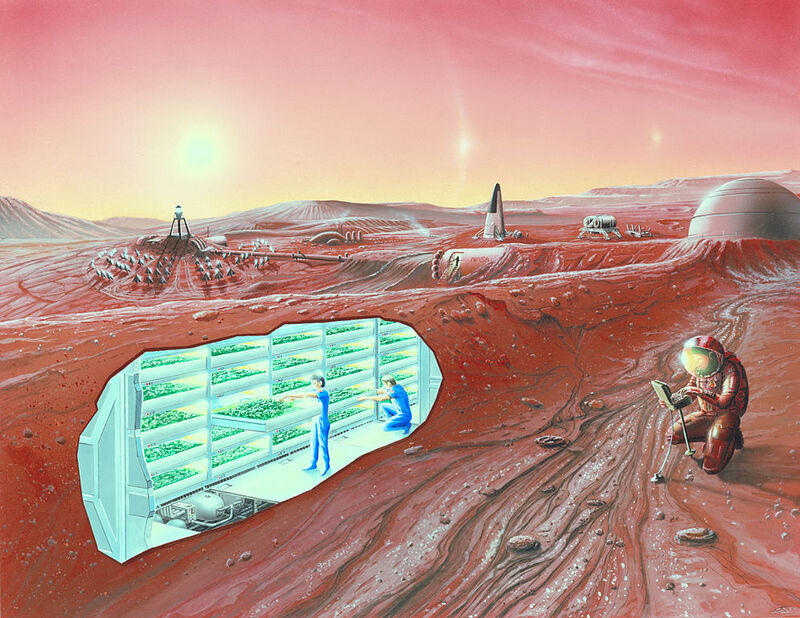 Mars One recognizes that there are many risks and challenges associated with establishing a Mars colony, including the loss of life and running out of money. They also acknowledge that signing up for a one way trip to Mars is not an easy choice and that creating a Mars colony will be dangerous. To combat this risk, Mars One incorporated a risk analysis protocol into its mission plan that was built with the assistance of individuals with experience at NASA (NASA assesses risk for its space missions using quantitative measures). Mars One also states that its main ethical priority is to offer the Mars colonists as high a quality of life as possible, including the ability to keep in touch with friends and family on Earth, the chance to explore Mars and expand the colony once they arrive, and the promise that more colonists will be emigrating to Mars every two years to keep the colony expanding. 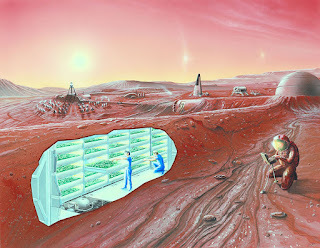 It is also important to note that Mars One is not the only group planning on going to Mars in the coming decades. NASA is planning on a journey to Mars by the 2030s and started working on a new rocket last summer that will carry passengers into deep space. The main ethical imperative for the Mars One group is to ensure that every volunteer embarking on the journey to Mars is made aware of the fact that long periods of time spent in space can irrevocably alter the brain and thus potentially change their mood, personality, and self-identity. But beyond that, no one is currently being forced to be a member of the first Mars colony—all future colonists are willingly placing themselves (and their brains) at risk. However, this will not be the case once the colonists begin trying to procreate on Mars. If the goal of the Mars One company is to plant a human colony on Mars, at some point the colonists will have to replenish their colony with new children. We currently do not know how being in space or living on Mars will impact developing fetuses, whether fetal and postnatal development of both the brain and body will be altered on Mars, and what will happen to the brains of children that grow up exclusively with the reduced gravitational pull present on Mars. Moreover, how will space-related brain changes impact the development of behaviors, mental illnesses, and all of the other identity-forming attributes to which the brain is linked? Ultimately, creating a human colony on Mars will give humans more space to grow, but will moving into space also cause us to grow into different human beings altogether? 1. De la Torre GG. Cognitive neuroscience in space. Life (Basel, Switzerland). 2014;4(3):281-94. Epub 2014/11/06. doi: 10.3390/life4030281. PubMed PMID: 25370373; PMCID: PMC4206847. 2. Karatsoreos IN. Links between Circadian Rhythms and Psychiatric Disease. Front Behav Neurosci. 2014;8:162. Epub 2014/05/17. doi: 10.3389/fnbeh.2014.00162. PubMed PMID: 24834040; PMCID: PMC4018537. 3. Sweet TB, Hurley SD, Wu MD, Olschowka JA, Williams JP, O'Banion MK. Neurogenic Effects of Low-Dose Whole-Body HZE (Fe) Ion and Gamma Irradiation. Radiat Res. 2016;186(6):614-23. Epub 2016/12/03. doi: 10.1667/rr14530.1. PubMed PMID: 27905869; PMCID: PMC5240657. 4. 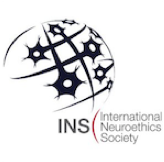 Lee SH, Dudok B, Parihar VK, Jung KM, Zoldi M, Kang YJ, Maroso M, Alexander AL, Nelson GA, Piomelli D, Katona I, Limoli CL, Soltesz I. Neurophysiology of space travel: energetic solar particles cause cell type-specific plasticity of neurotransmission. Brain structure & function. 2016. Epub 2016/12/03. doi: 10.1007/s00429-016-1345-3. PubMed PMID: 27905022. 5. Parihar VK, Allen BD, Caressi C, Kwok S, Chu E, Tran KK, Chmielewski NN, Giedzinski E, Acharya MM, Britten RA, Baulch JE, Limoli CL. 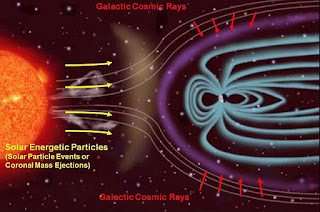 Cosmic radiation exposure and persistent cognitive dysfunction. Sci Rep. 2016;6:34774. Epub 2016/10/11. doi: 10.1038/srep34774. PubMed PMID: 27721383; PMCID: PMC5056393.